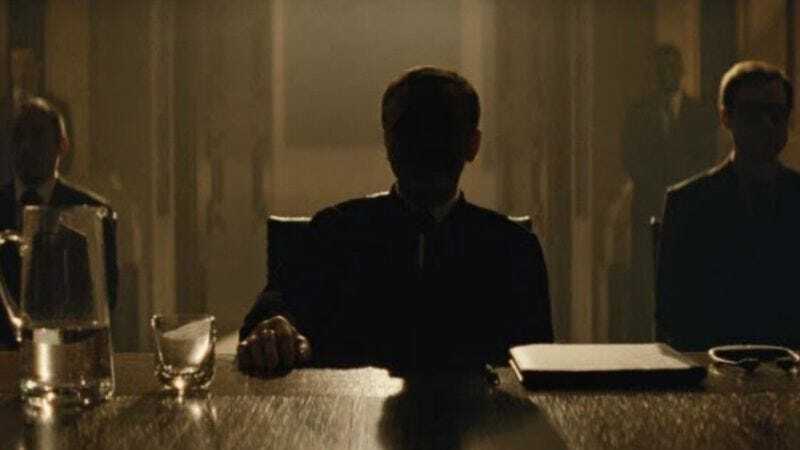 Read This: Who’s the odds-on favorite to sing the Bond theme for Spectre? The authors of The James Bond Songs: Pop Anthems Of Late Capitalism are as qualified as anybody to speculate who is likely be singing “Spectre… Spectre… try and kill James Bond, just don’t give him a lecture…,” or whatever the lyrics will be. Thus, that’s fittingly what they’ve done in a new blog for the Oxford University Press. Most of the article is spent dismissing seemingly likely choices. Lana Del Ray has put a lot of effort to into looking the part, but Daub and Kronengold dismiss her based on her song “Shades Of Cool,” which is too on the nose. Coldplay would have been good 10 years ago, but now they’re Coldplayed out. Karen O and Trent Reznor out-Bonded Bond with their remake of Immigrant Song for The Girl With The Dragon Tattoo. But that movie tanked, and the producers probably don’t want to sabotage Spectre’s box-office mojo. So who do they think will likely get picked? Grammy darling/Tom Petty musical bandit Sam Smith is the likely top choice. He’s popular right now, and checks off all of the requirements for a “safe choice.” You can read all of the considerations here.